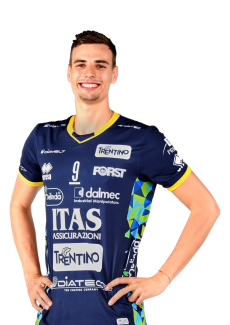 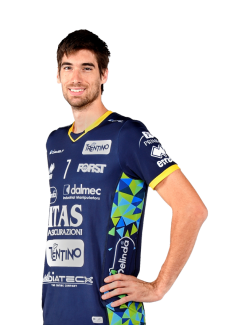 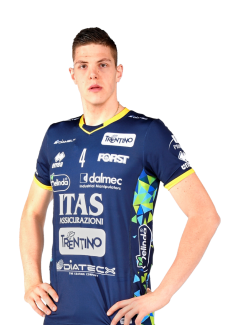 The season 2015/16 sees Trentino Volley recur to its audience with the new Championship on its jersey but without two historical players like Kaziyski (but he will return in time for the playoffs, after living the entire year in Japan) and captain Birarelli, passed to Perugia. 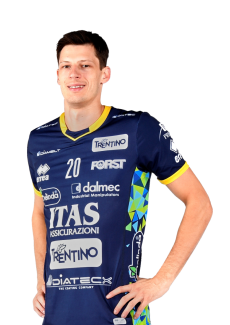 The band goes on the arm of Filippo Lanza, who perfectly represents the new direction of the company, looking to the future with a further rejuvenated group and five thirteenths built in-house. 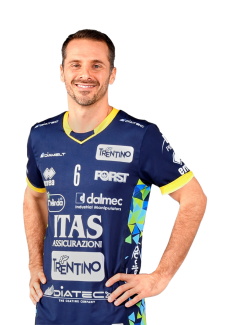 Thanks to the excellent work done in previous years by the Youth Sector, the confirmed Stoytchev coach can count on promising fact of nursery products such as De Angelis, Nelli, Tiziano Mazzone and Simone Giannelli - promoted regular in the control room after the exploit in the previous season final. 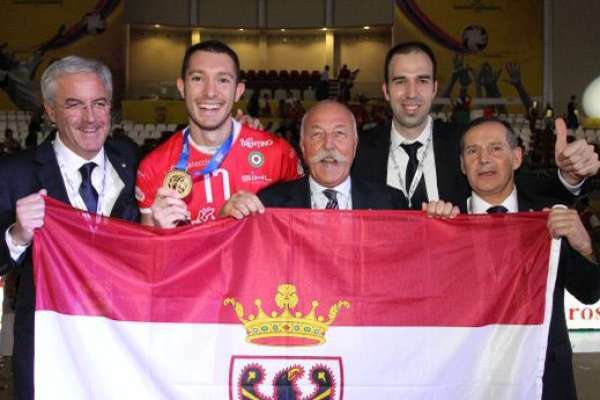 The new names are those of the Captain of the Slovenian National Urnaut (fresh silver medal at the European Championships), the best middle-blocker of the last Super League Van de Voorde and Antonov, Italian-Russian hammer already in the national team who had started playing thirteen years ago precisely in the province of Trento in Volley Mezzolombardo. 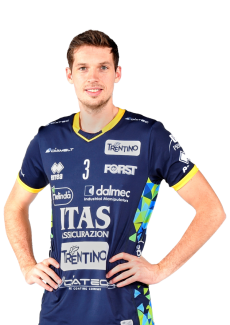 The start immediately gives strong emotions thanks to the defeat only at the tie-break in the Italian Super Cup in PalaPanini against Modena, historical opponent then passed in front of a packed PalaTrento just a month after the championship. 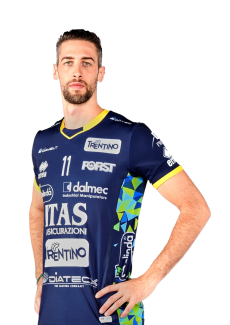 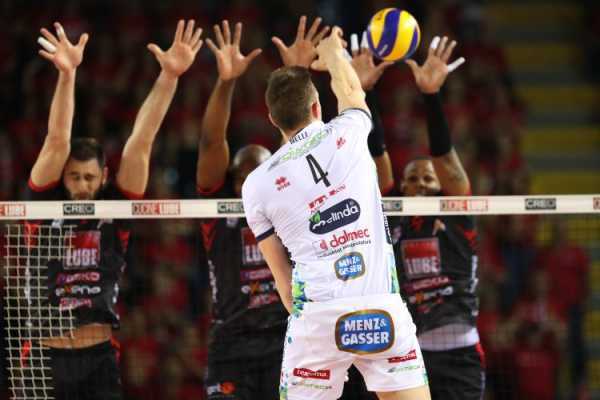 In the plant of via Fersina in Super League must also bow Lube Civitanova (big favorite for the final victory of the season). 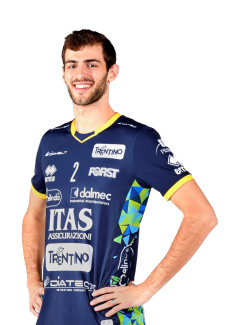 Despite the injuries - which will condition all the way the yellow-blues year hitting more players throughout the season - Diatec Trentino constantly occupies the top positions of the regular-season standings, which will close in third place, and moving forward very fast both in the Champions League and in the Italian Cup, centering in both events access to the Final Four. 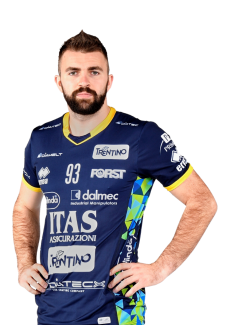 If the qualifying final appointment of the maximum national trophy (then finished in second place after the 0-3 in the final again with Modena in Assago in the semifinals after eliminating Lube) might seem obvious, it was not at all rather than to the prestigious European event. 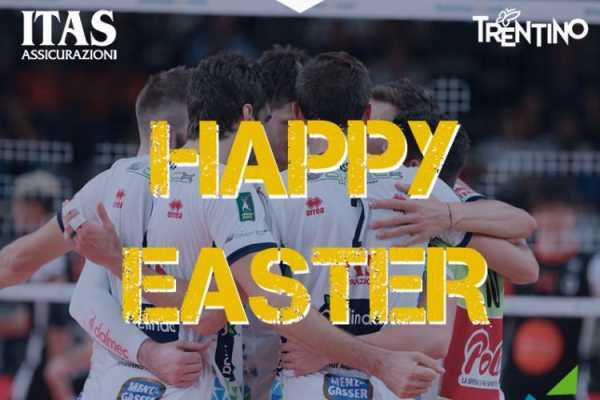 With the Champions, League Trentino Volley confirms to always have a special relationship, beating off competition in the first group stage (which adjusts smoothly Tours, Maaseik and Thessaloniki) and then gorgeous even in Playoffs thanks to double victories first against the Belgian of Lennik and then against the formidable Russian Belgorod. 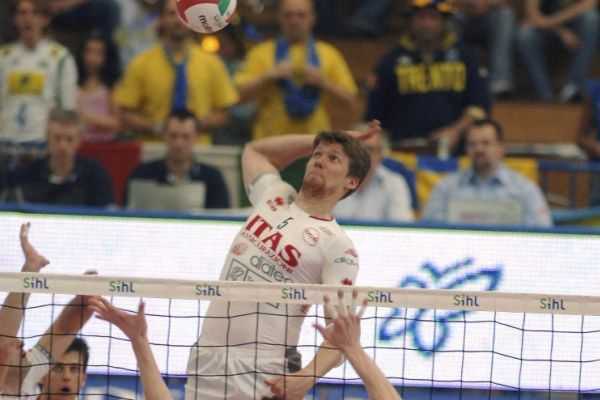 The Final Four, played again in Poland in the beautiful Tauron Arena in Krakow in front of over twelve thousand people, offered once again a result of high profile: Djuric and his teammates clearly won the semi-final with Lube and then carry on 2-0 in the final before undergoing the return of the Champions of Kazan, that gets the second European title in a row only to tie break by winning 13-15. The bitterness for having only touched the firm and the fourth victory of its history in the Champions League is soon soothed by pride for having put behind as many as 26 of the strongest teams in Europe and the presence of three players from Trentino in the sextet ideal: the setter Giannelli (meanwhile become a splendid reality of worldwide volleyball - in the picture above), the middle-blocker Solé and the hitter Urnaut. 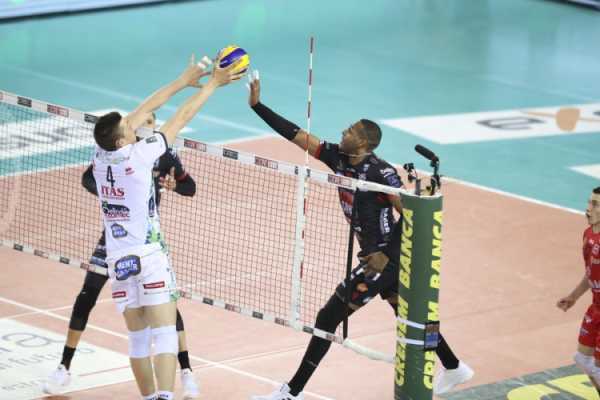 Over two hundred fans, who came to Krakow for the event, offer a fitting tribute to the team, who then meet at PalaTrento already a few days later to play the final stage of the playoffs. 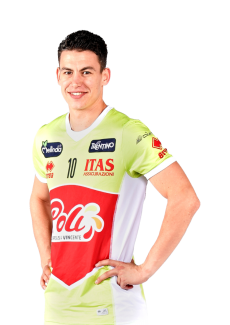 However, the race for the Championship is full of suffering, as already shown in the five grueling race of the quarterfinals with Molfetta. 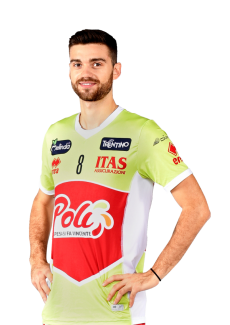 In the semifinals renews the challenge with Modena; injuries have taken several alternatives to Stoytchev (among them the captain Lanza and Nelli, great protagonist in the series with Puglia and against Belgorod in Champions) and so the Bulgarian coach asks overtime to Kaziyski who, after returning from Japan, plays also opposed giving away in this role the only victory in the confrontation with the Emilians. 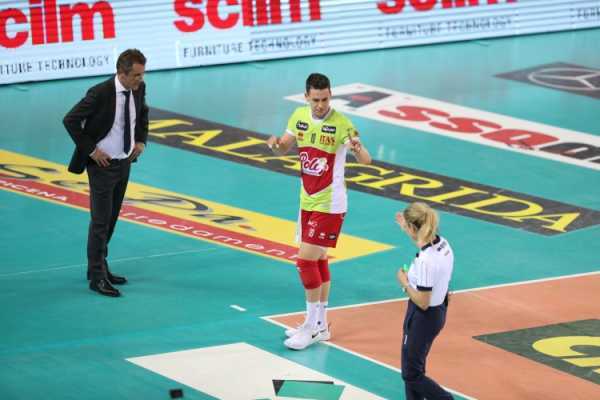 DHL makes the most of home advantage in Game 1 and conquered twice PalaTrento, putting an end to the first season, after eight, without titles but with many interesting ideas and potential for the future.